Firstly, learning to drive has been one of the most exciting and fun yet frustrating things I have ever done! Honestly, without Greg, I wouldn't have gained the confidence or have had the persistence necessary to pass! 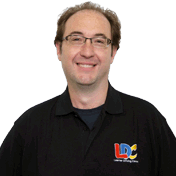 The great idea behind the LD System is that you can plan your own lessons using the workbook and DVD resources to assist you. This has been fabulous as it means that I could cram as much into a lesson as I felt I was able to do and plan them based on how I was feeling that day (whether good or bad). Not only was Greg punctual for EVERY lesson, but his car is squeaky clean as was an absolute dream to learn in. And, yes, I had my 'off' days, but Greg never gave up on me (no matter how many times I wanted to do a bay park!) and now I finally have my independence! Thank you so much for everything! 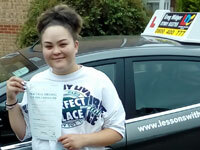 I'm a driving instructor in Calne, Chippenham, Devizes, Lyneham, Melksham, Malmesbury, Corsham and surrounding areas.